in accordance with DIN 53211. Hard-anodized aluminium cup, capacity 100 cc. 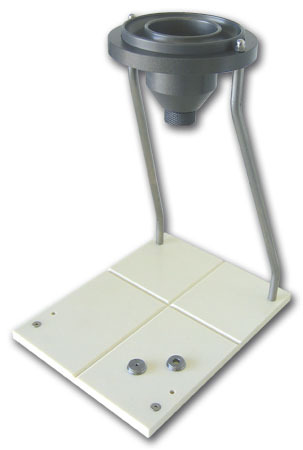 Fixed height support with nylon base and stainless steel arms. 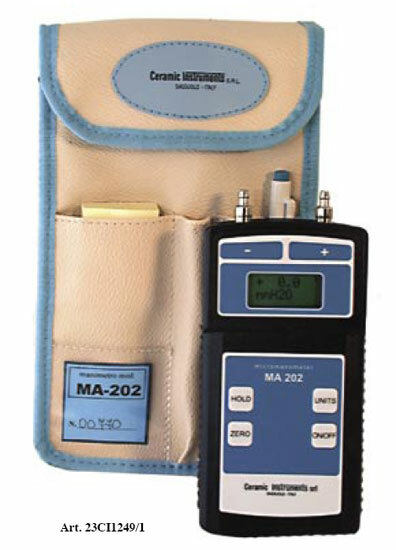 The MA/202 differential portable micro pressure gauge employs a piezoelectric sensor made of silicon that allows for measuring both static pressure and differential pressure. 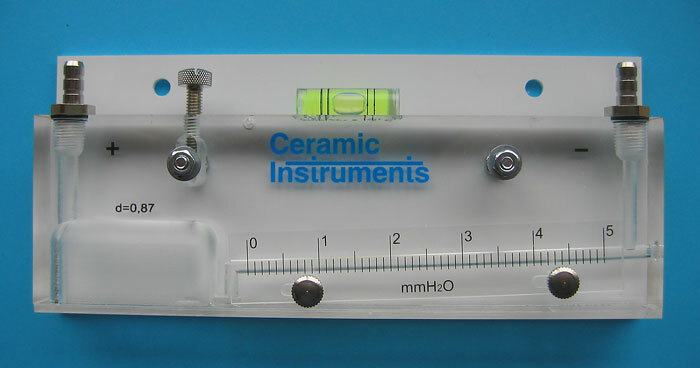 Complete with 2 tube holders, with air bubble, holes for wall mounting with adjuster screw. Mobile scale for precise zero adjustment. Works with 0.87 S.G. red oil supplied with the equipment, 20 cc bottle.